Join us for a Mardi Gras-themed Family Day featuring a demonstration and performance by the Red Flame Hunters, a youth Mardi Gras Indian tribe from New Orleans. 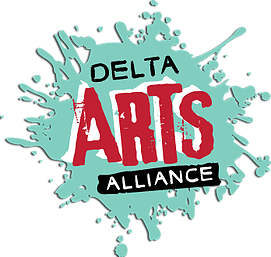 Activities will also include a dance performance and art activities with Delta Arts Alliance, king cake tasting and more! Activities and performances included with purchase of general Museum admission. Admission will be half-price for Non-Members; free for Members. Performance with Red Flame Hunters begins at 2 p.m. in the Sanders Soundstage. The Red Flame Hunters All Youth Mardi Gras Indian Tribe have paraded or "masked" since 2009. Every year the tribe members, their families, and volunteers work 8-12 months for each Indian (ages 3-19) to complete an original suit in the historical tradition of the Mardi Gras Indians. The mission of the tribe is to preserve and share the neighborhood culture and heritage of New Orleans. Through a young adult and youth program, members of the tribe learn, teach and share the historic, visual and performance traditions of the Mardi Gras Indians. The tribe parades, or “masks” on four public parade days as well as private events. Suits are constructed by the young people who wear them and a team of family and friends. The Red Flame Hunters regularly to learn and practice the visual, performing and historical aspects of the tradition and pass those traditions on to a younger generation. Family Days at GRAMMY Museum Mississippi are supported in part by King’s Daughters and Sons Circle Number 2.